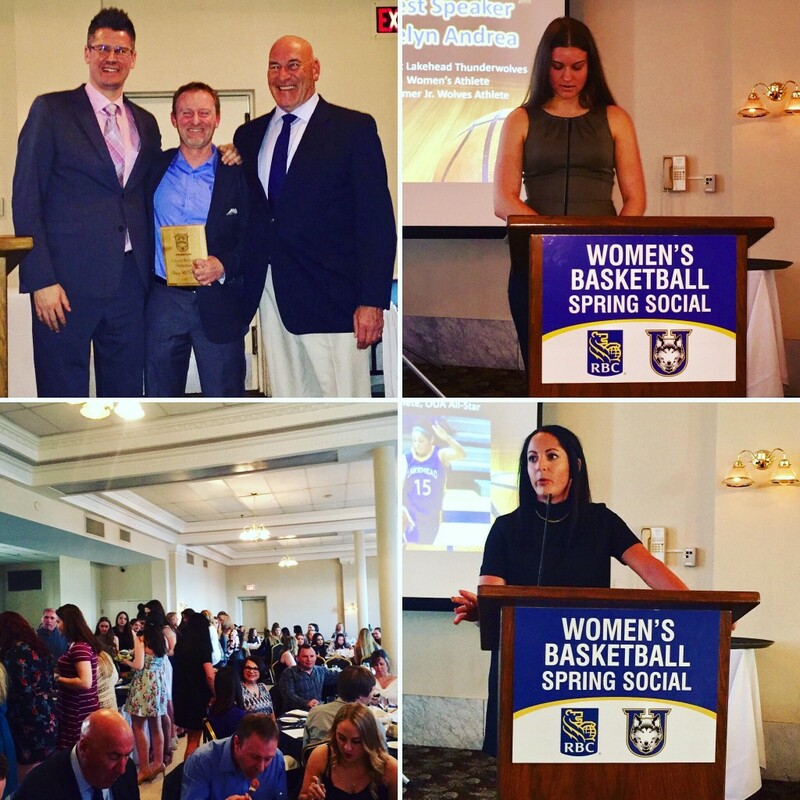 On Friday March 31, the Jr. Wolves Girls Basketball Program, along with its partner, the Thunderwolves Women’s Basketball Team, held its 2nd annual RBC Spring Social. RBC is the presenting and title sponsor for this event that hosted 162 female basketball players, coaches and parents at the Prince Arthur Waterfront Hotel. 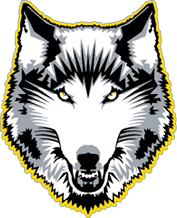 Jr Wolves Girls Basketball is a grassroots program consisting of both Developmental & Competitive components. It is the role of the Thunderwolves Women’s Basketball Program to implement & oversee all aspects of the Junior Wolves. Our united goal is to develop youth girl’s basketball & coaches in the Community of Thunder Bay. Sponsors play a major role in facilitating our goals. At this event we celebrate the accomplishments of the Varsity Thunderwolves Women’s Basketball Team as well as celebrate the start of the Jr Wolves Season. The women’s basketball varsity award of Game Point Per Minute Champion was awarded to Rachel Webber for best measurable statistics averaged per minutes played. 1) Letitia Monroe has provided mutual intent to play for coach Dieter Humbert at Rainy River Community College in International Falls, MN. She will be taking Human Services and will also obtain an Associate of Arts degree. 2) Kaila Granholm has provided mutual intent to play for coach Marg Jones at Nipissing University in the OUA, in the city of North Bay, Ontario. She will be taking the Bachelor of Physical & Health Education Program. 3) Sam Read has provided mutual intent to play for Jon Kreiner in Thunder Bay at Lakehead University in the OUA. She will be taking social work. Three Jr. Wolves athletes completed the 10, 000 shot club last summer; Ali & Sam Read & Emily Sanzo. The final component of the RBC Spring Social is the Induction Ceremony. This year Dave McCallum was inducted into the Jr Wolves Wall of Fame as a Coach & Builder. Dave is currently at Westgate High School – (Alternating) JV & Varsity Head Coach since 2009. Dave was a part of the first group that met in 1997 to discuss the formation of Thunder Bay Basketball. This club later broke into the Jr Wolves for girls and Blaze (currently) for boys. He was the Blaze Basketball Head Coach from 2005 – 2008 & a Wolves Basketball Head Coach from 2007 – present, coaching various teams at all grade levels. “This is the second year for this event and it was very successful. The relationship of Thunderwolves Women’s Basketball and the grass roots basketball program in the city for girls is the strongest it has ever been. We currently have 50+ Developmental grade 3-8 athletes training October-March as well as 6 Club Teams competing for the Jr Wolves; Grade 5/6, grade 7/8, & grades 9, 10, 11 & 12. Each team has three volunteer community coaches who work to develop over 70 young female basketball players in the City of Thunder Bay. We are very lucky we have the support of our coaches and our athletic director Tom Warden with regards to facilities and resources to grow basketball in Thunder Bay. The goal for these young females and our program is to develop some local athletes to play for the Thunderwolves as well as to play at the highest level possible while enjoying the game of basketball. Community people like Dave McCallum are vital to this process”.